An ever growing List of Attractions in Kenya, with links to tours and photos! One of the top tourist attractions in Kenya are The Gedi (Gede) Ruins, which where declared a National Park in 1948; especially for those enjoying Kenya beach vacations near Mombasa and Malindi. The Gedi Ruins are all that remains of Gede Kenya, which was a Swahili town that thrived hundreds of years ago. Gede Kenya once had mosques, palaces, and homes, and these structures were quite sophisticated during their day. The inhabitants here, which were of Muslim descent, had established quite a trading system as excavations have shown, but sadly, no written records have been found that can give absolute insight into life at Gede Kenya. The city of Gede Kenya was founded sometime in the late 13th or early 14th century, and according to academics, Gede reached its zenith in the mid-15th century. It is not largely understood as to what caused the downfall of Gedi Kenya, but by the 16th century, the city was abandoned. The ruins of a palace, mosque, and several houses are what visitors can explore on trips to the Kenya Gedi Ruins and they are great attractions in Kenya. 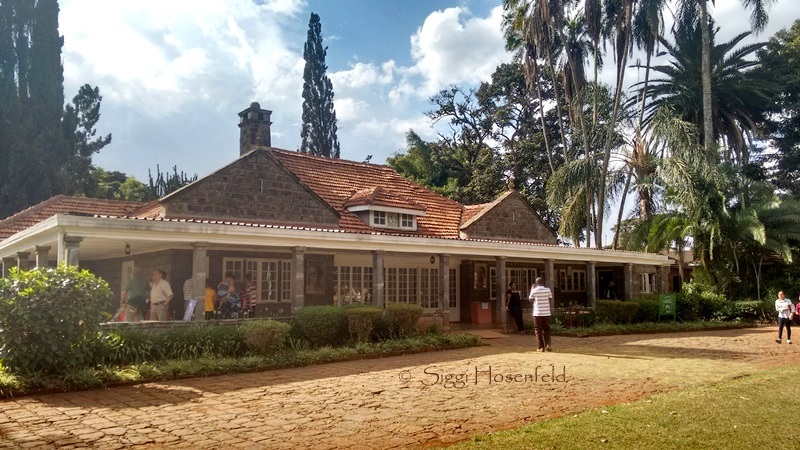 Karen Blixen Museum was once the center piece of a farm at the foot of the Ngong Hills owned by Danish Author Karen and her Swedish Husband, Baron Bror von Blixen Fincke. Located 10km from the city center, the Museum belongs to a different time period in the history of Kenya. The farm house gained international fame with the release of the movie 'Out of Africa' an Oscar winning film based on Karen’s an autobiography by the same title. The Museum was built in 1912 by Swedish Engineer Ake Sjogren. Karen and her husband bought the Museum house in 1917 and it become the farm house for their 4500 acre farm, of which 600 acres was used for coffee farming. Their marriage failed after eight years and in 1921 the Baron moved on and left the running of the farm to Karen. Karen lived at the house until her return to Denmark in 1931. 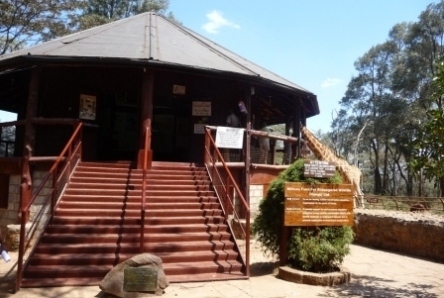 Nairobi National Museum is located at the Museum Hill, approximately 10 minutes drive from the Nairobi city center. It is the flagship museum of NMK, housing some of the most celebrated collections of history, culture and art from Kenya and East Africa. The museum aims to interpret heritage of Kenya to stimulate appreciation and learning. The galleries have been reorganized recently to interpret the heritage of Kenya to stimulate appreciation and learning and definitely a part of attractions in Kenya. To capture the feel of diversity and interactivity, there are mixed galleries to show the personality of the new museum. Under the nature pillar, there are 5 exhibitions. These are Human origins, Mammalian Radiation, Ecology of Kenya, Natural Diversity and Geology. Under Culture, the exhibitions include Cycles of Life, Cultural Dynamism and Creativity. The history pillar has two exhibitions: Kenya Before 1850 and History of Kenya. The David Sheldrick Wildlife Trust is a small, flexible charity, established in 1977 to honor to memory of a famous Naturalist, David Leslie William Sheldrick MBE, the founder Warden of Tsavo East National Park in Kenya, where he served from its inception in 1948 until his transfer to Nairobi in 1976 to head the Planning Unit of the newly created Wildlife Conservation & Management Department. If you are an elephant lover, this is one of the biggest attractions in Kenya. His wife, Daphne Sheldrick, was the first person in the entire world to successfully hand rear newborn fully milk dependent African Elephant orphans, something that spanned 28 years of trial and error to achieve. All the Trust’s orphans eventually take their rightful place amongst their wild counterparts, including those orphaned on the day they were born. The African Fund for Endangered Wildlife Kenya (A.F.E.W Kenya Ltd) also known as the Giraffe Centre is a non profit making organisation, which was founded by the late Betty and Jock Lesilie Melville in 1979. The late Betty, Jock's American born wife, had earlier discovered the sad plight of the Rothschild giraffe and there were only 120 left on an 18,000 acre ranch in Western Kenya that was scheduled for sub-division and settlement. The first effort to save this sub-species was to bring two young giraffes to their property in Langata and later Betty founded AFEW USA. 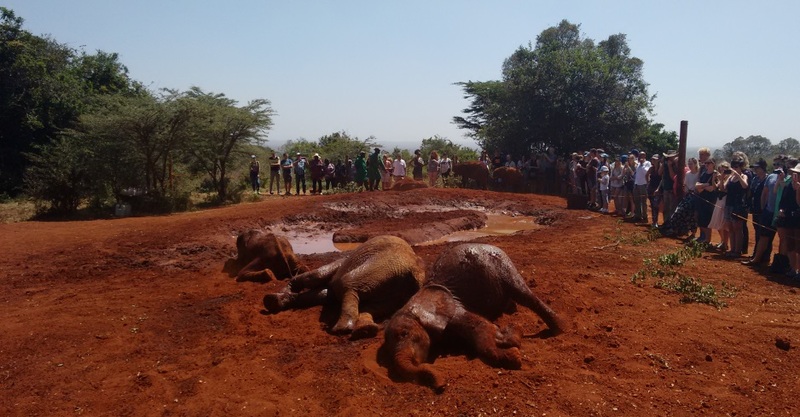 Young ones born at the Center were trans-located to Soi Sambu ranch near Lake Elementaita, Kigio Conservancy and Sergoit Ranch in Eldoret while recent trans-location have seen our young ones taken to Mwea National Game Reserve. Today the Rothschild giraffe population is close to 500 animals. Fort Jesus in Mombasa, is located along the coastline near the Old Town; a monumental piece of architecture that was built in the 16th century by the Portuguese. The fort has a museum that displays various artifacts from the era where Mombasa served as a transit point for the slave trade and commodities, and which enjoyed regular visits by seafarers and the like. Its interior comprises of torture rooms and prison cells where slaves were kept in captivity before being traded. 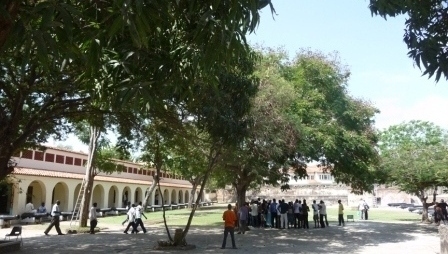 Weapons such as canons, which were used to defend the fort from invading foreigners as well as rioting locals, can be seen both inside and outside of the fort. The fort opens its gates for viewing in the morning and closes at dusk. 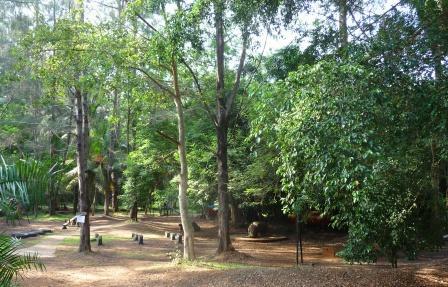 Formerly known as Bamburi Nature Trail until 1999, Haller Park is a unique ecological restored quarry situated on the North Coast of Mombasa along the Mombasa Malindi road, next to the Bamburi Cement factory. In 1971, Rene Haller started a quarry rehabilitation drive with the backing of Bamburi Portland Cement Company. They rehabilitated the southern part of the Quarry that comprised of 75 hectares and northern which was 11 square km. Along the southern shore of Lake Naivasha is the former home of naturalist and painter Joy Adamson, author of 'Born Free', and now the Elsamere Conservation Center, incorporating a guesthouse and a small museum. Visitors are invited to join the guests daily at 4pm for a sumptuous tea on the lawns of the beautifully peaceful lakeside setting, occasionally joined by the mischievous Colobus monkeys with a taste for cheesecake. It also has been one of the oldest attractions in Kenya. The museum has displays portraying the true story of Joy and the lioness Elsa that she raised from birth, and her attempts to return her to the wild, as well as her paintings and personal artifacts. There is also a video shown about the story of Elsa the lioness. Would you like to explore some of these or more? Please have a look for the best deals available!